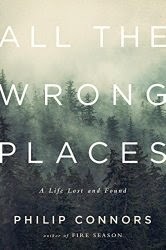 Philip Connors is the author of the new memoir All the Wrong Places: A Life Lost and Found, which focuses on the impact of his brother's suicide. He also has written Fire Season, and his work has appeared in a variety of publications, including Harper's and the Paris Review. He lives in New Mexico. Q: You write of your life in the years after your brother’s suicide, “Anything went. Anything was permissible, as long as I lived.” How did your brother’s death affect the choices you made? A: On the one hand, I felt as if I could do or be anything after his suicide, because nothing really mattered anymore. Life felt like a cruel joke. What did I care what happened to me? If I wanted to hitchhike across the country in the dead of winter, I just went ahead and did it without a thought. On the other hand, in order to maintain my own personal vigil for him, I felt as if I couldn’t allow myself to be happy or content. To be happy or content would be a violation of my grief for him. So I made counterintuitive choices to ensure my feelings of alienation: working in the wrong job, living in the wrong neighborhood, and so forth. These two impulses were at war with each other for years, the one that said I could do or be anything, and the one that said, Sure, do or be anything—as long as it doesn’t make you happy. Q: You describe your brother’s presence in your life after his death: “He was always with me, though dimly remembered and void of substance, like a phantom limb.” What impact did writing the book have on your feelings about your brother? A: I don’t think the writing changed much about my relationship with him. He’s been gone almost 20 years, so I’ve had time to work out my thoughts regarding him and his death. I wasn’t using the book to sort through my feelings or achieve some new understanding of him; I had a certain story I wanted to tell—about what it’s like to be a "suicide survivor"—and I told it as best I could. And some of what I feel about him is necessarily very private, and should stay that way. Q: Your title is “All the Wrong Places,” and you describe various situations in which you found yourself in your 20s by saying, “I was always ending up in all the wrong places.” Which places seemed especially wrong to you, and how did you end up settling in New Mexico? A: The whole time I worked at The Wall Street Journal, it felt pretty wrong. I remember opening the editorial pages every day and reading about how the poor weren’t taxed enough, or how we should be waging all-out war across the Middle East, or how George W. Bush was the second coming of Winston Churchill. I found it pretty hard to agree with any of it, although it was fascinating to have a glimpse into the minds of those who believed these things, to see how reality can be ignored in the service of advancing an ideology. The book ends with me finally finding the right place, and I owe it all to my friend M.J., who invited me to visit her at a wilderness fire tower in New Mexico, where she was working during the summer of 2002. Long story short: she knew I needed out of New York City, so she arranged for me to take over her job in the lookout. She basically handed me her mountain as a gift and said: Here, you need this more than I do. So I flew back to New York, quit my job in an office tower in Lower Manhattan, and returned to finish out that season in a fire tower in the New Mexico wilderness—two places about as far apart as you can get in the United States of America. But I’ve been there every summer since, going on 14 years now, and have made a life in southwest New Mexico, a place where I feel very much at home. 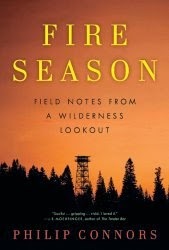 Q: Was the writing process similar or different between this book and your first book, Fire Season? A: I wrote Fire Season fairly quickly, most of it in one six-month burst. I knew most of what I wanted to say ahead of time, so it was merely a matter of figuring out how to say it. It’s a book about an experience I live summer after summer, and as a compulsive note-taker, I had a lot of raw material at hand. There weren’t a bunch of drafts. It just sort of flowed right out of me. This book was more difficult. It covers many years and many diverse experiences. A lot of the work of getting it right involved deciding what to leave out — writing a draft of something and thinking, No, that won’t do, and either trying again or discarding it altogether. And the tone was tricky: how do you write a book about suicide that people will actually want to read? Working some humor into it felt crucial. I have boxes full of paper that serve as a monument to the many failures that were required to come up with a narrative that, in the end, I think works. A: I just finished a couple of essays, smaller things: one on wildfires and renewal (for Orion magazine), one a memoir of growing up Catholic in Minnesota in the 1980s (which will be published in the next issue of n+1). They were things in the works for a while, and it’s been nice to get them out the door. At the moment I’m working on nothing. Finishing this book left the well of my creative impulses pretty empty. 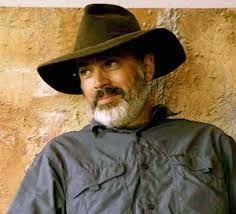 I plan to sit very quietly and hope the well starts to fill again. It may take some time.